It has now been a little over a week since Kaia's arrival into this world. In looking back at the week I can honestly say that it has gone 100% better than I could ever imagine it would have. I know I've mentioned this to a few of you, but in anticipation of her arrival, I honestly had more fear and anxiety regarding the first few postpartum weeks than for the actual labor and delivery! If you know me well, you know that me + sleep deprivation = bad news...I shut down pretty quickly. So, that makes me that much more appreciative and in awe of how God has blessed us with an incredible little child that sleeps 3.5-4 hour chunks through the night! I'd say that I'm getting a minimum of 6 hours of sleep per night and sometimes more (of course it is interrupted sleep, but still...). Overall, the whole experience of having Kaia this far has been rather humbling. We have felt so supported in prayer, through words of encouragement, and in the arrival of unexpected gifts; in short we have really felt loved. In many ways, I keep waiting for the ball to drop and for all of this to suddenly get REALLY difficult...so I keep taking one day at a time, trying not to expect that it'll be the same as the day before, but it usually is; at least close enough. So, we continue to praise God for His goodness and provision, in blessing us even through the small details of life. But here's what you all should know about me. Through our training here at International Teams we've undergone a series of assessments and I've found out some things about myself. First, a strength of mine has been labeled as 'positivity'. It's not that I sugar coat life, but I do have the ability to look beyond a present struggle I'm in and to focus on the hope of knowing that God is with me and that He has a plan for me; He is in control. This strength is especially apparent when I'm relating with others and the situations of their lives. You can find an example of how positivity played out in Jesus's life in John 16:20-24 when Jesus comforts His disciples: reminding them that the end of the story is victorious - "your grief will turn to joy," he says. Another little tidbit that I've learned about myself is that I may have difficulty in being truly vulnerable in every situation. Hopefully some of you are thinking in your head, "huh, I wouldn't have guessed that about her," but the more I process it the more I find it to be true under the surface. I do highly value humility and the ability to be vulnerable with others and often times will choose to do so, but because I also score so highly in the "positivity" category you may not always hear me talking about the more challenging times because I usually jump to processing the hope the spurs me forward. So, all that to say - I wanted to be sure to let you all know that I am human. I know you all know that, but I wanted to say it anyway. I confess that I do have difficult days and hard moments. I do let myself grieve when needed. I do allow myself to feel the full emotion of whatever it is I'm feeling, and everything isn't always rosy. In fact, I've cried at least once everyday this past week (postpartum hormones)!! But, above all that I do have a hope and a peace that surpasses all understanding that spurs me forward...and that's the stuff that gets me excited and what I get excited about sharing with others. However, I don't want to lose sight of the Truth of my brokenness either. So there it is; my confession. So, first off-- I'm not gonna go into too much detail here. 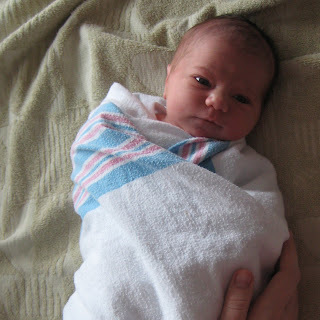 I'm going to leave it to Suzy to elaborate on the birth, delivery, and first days with our new daughter; I feel like she deserves that! 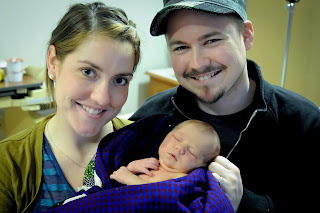 On February 3rd, 2012 at 3:49am we finally got to meet our little girl, Kaia Ruth Olsen. She weighed in at 6 pounds, 11 ounces and was 20.5 inches long. Those are the facts. But on the other side of the spectrum, there sure were a lot of feelings and emotions! Suzy did a lot of reading regarding centering yourself during birth-- especially during contractions. The idea is to spiritually connect with God and be filled with peace and relaxation rather than giving into the hysterics and irrational emotions that are often portrayed to us on television. It was a very spiritual experience for us and through the pain she was feeling, I was amazed to see her calmly, slowly breathing through it and relaxing her body rather than tightening up. We experienced many emotions leading up to the birth, were encouraged and motivated through verses we read from the Bible, and when the last stage of labor came and we got to see our precious, little Kaia, we were simply overcome with the beauty of such a miraculous event ending with the most amazing gift we could ever receive! We look forward to introducing her to as many of you as we can before leaving the country! 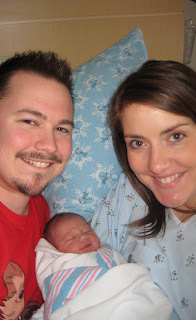 Thanks to all of you who prayed for us, encouraged us, and celebrated with us throughout the whole process!